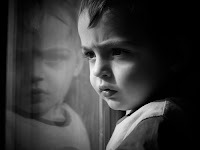 Adults maltreated as children have a much harder time overcoming depression, said researchers at King’s College London. Their analysis of 26 studies showed that a history of physical abuse or sexual abuse, neglect, or family conflict or violence was associated with a poorer course of depression and worse treatment outcomes, wrote Andrea Danese, M.D., Ph.D., and colleagues in the American Journal of Psychiatry online August 14.
Review of 16 epidemiological studies covering more than 23,000 patients indicated that adults with depression who were maltreated as children grew up to have double the likelihood of recurrent and persistent depressive episodes than those who were not maltreated. Also, their analysis of 10 clinical trials covering 3,100 patients found that a history of maltreatment was associated with poor outcomes for antidepressant drug treatment and even worse results when treatment combined medication and psychotherapy. Thus, early preventive and therapeutic interventions may be more effective than later efforts in preventing a poor long-term course of depression, they concluded. Read an abstract of the study at http://ajp.psychiatryonline.org/cgi/content/abstract/appi.ajp.2011.11020335v1. To learn more about the psychiatric outcomes of child maltreatment, see Psychiatric News at http://pn.psychiatryonline.org/content/44/21/27.full.